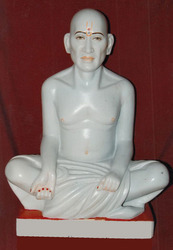 Providing you the best range of moorti gajanan maharaj, gajanad maharaj statue, sant shree gajanan maharaj statue, marble gajanand maharaj statue, marble gajanan maharaj moorti and gajanand maharaj shegaon statue with effective & timely delivery. Clients can avail an exclusive range of the moorti of Gajanand Maharaj . This range is designed by our expert artisans using best quality raw materials that are procured from the trusted vendors of the market. We offer this range in variegated sizes and styles to meet the diverse client requirements. The range can be availed from us at best industry prices. 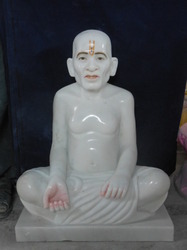 This moorti is sant shree gajanan maharaj ji made by mahesh moorti art in pure white marble . 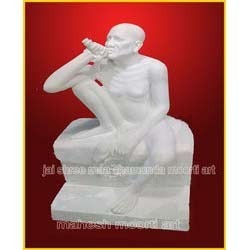 This moorti is sant shree gajanan maharaj ji made by mahesh moorti art in pure white marble. 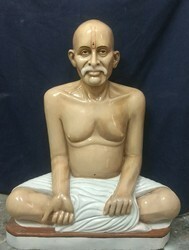 Clients can avail an exclusive range of the sculptures of Gajanand Maharaj Shegaon (Maharastra). This range is designed by our expert artisans using best quality raw materials that are procured from the trusted vendors of the market. 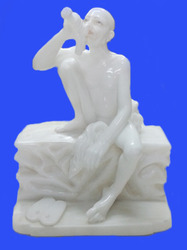 We offer this range in variegated sizes and styles to meet the diverse client requirements. The range can be availed from us at best industry prices. 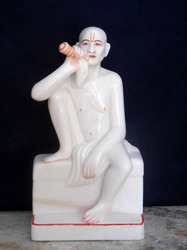 Looking for Gajanan Maharaj Sculptures ?